Welcome to Sunset Limousine Service, LLC! Sunset Limousines Service is locally owned and operated. We look forward to the opportunity to serve your needs. Take a look at what we offer, and let us know how we can serve you. 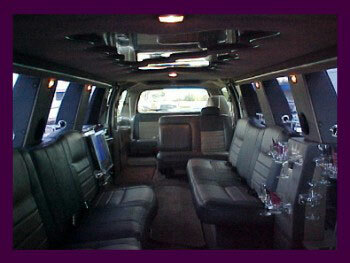 Sunset Limousine service is your Southern Wisconsin "First Class Limousine service!" Striving to provide... First Class transportation service to Southern Wisconsin! 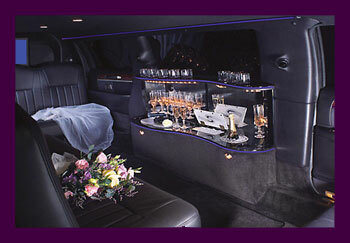 Sunset Limousine Service, LLC provides First Class service. We are passionate about exceeding your expectations with the level of service we provide! 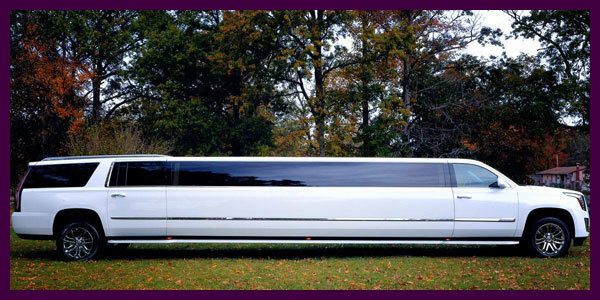 Sunset Limousine Service, LLC is a full service limousine company. We have the vehicle to suit your transportation needs, from sedans to the luxury stretch! From airport service to corporate packages, or from proms to weddings to your most special event, we serve your every need! One of our letters of appreciation from a previous customer sums up the motto of our company. "Our driver went the extra mile for us, and made the night truly special. Thank you!" Sunset Limousine is an owner-operated company... "As the owner of the company, I am committed to always being involved as one of the chauffeurs because it allows me to stay in touch with what makes my customers happy. As the owner I can promise you that your needs are my priority, and the professional chauffeurs that drive for me are among the best." Our White Limo Coach White Exterior with Rear Luggage, Gray Leather Perimeter Seating with Fiber Optic Trim, Full Fiber Optic Package with Fiber Optic Center Hand Rail, Electric Privacy Door, Intercom Phones, Dome Lights, LED Accent Lights, Brushed Aluminum Ceiling and Window Trim, 3 Ice Chests, Champagne Wells, Crystal and Coffee Service, Trash and Tissue Holders, Multiple 12 Volt Plug Ins, 42" Flat Screen TV and 2-15" Flat Screen TVs, CD, DVD, MP3, Upgraded Sound System, 26 passengers. Sprinter Van Sunset Limousine Service LLC. is proud to announce our 14-passenger Mercedes-Benz Sprinter. This beautiful and spacious luxury vehicle has over 6 feet of height inside and a large sliding door for ease of boarding. Each comfortable seat features its own lap and shoulder seatbelt. A huge luggage area adds to its usefulness. The quiet interior, smooth ride and extra capacity air-conditioner/heater combine with the large tinted windows for a wonderful charter experience. 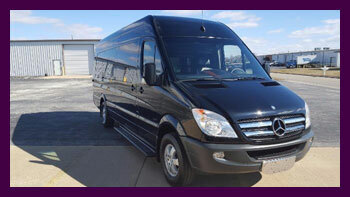 Your small group can will truly experience the luxury of a chartered Mercedes in this vehicle. 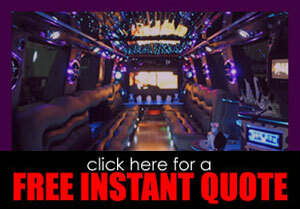 Sprinter Limousine Sunset Limousine Service LLC. is proud to announce our new 12-14 passenger Mercedes-Benz Sprinter. This beautiful and spacious luxury vehicle has over 6 feet of height inside and a large sliding door for ease of boarding. This vehicle is loaded with all the limousine amenities such as: Two large LCD Sreens, surround sound, built in bar with cooler, limo lighting, etc. Also a huge seperated luggage area adds to its usefulness. The quiet interior, smooth ride and extra capacity air-conditioner/heater combined with the large tinted windows for a wonderful charter experience. Your small group will truly experience the luxury of a chartered Mercedes in this vehicle. (black or white) Our Stretch Hummers simply have everything... mirrored ceiling entire length of vehicle, bar with fiberoptics throughout, special LED lights in partition with fiberoptics throughout, multi-colored continuous changing neon light strip throughout bar and headliner, LED lighting under crystal decanters and glasses, 3 Flat Screen TV's, AM/FM Stereo, DVD/CD, Surround-sound, Twinkle neon lighting throughout, VIP area, red laser lights and disco lights. HUMMER, as they say, "It's like nothing else". 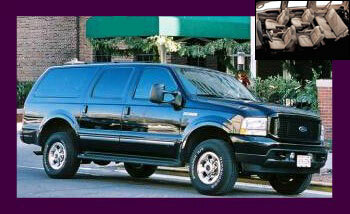 This chauffeured service utilizes a discreet custom Ford Excursion that allows seating from 1-7. In this vehicle, you're able to slip through traffic virtually unnoticed, yet it provides you with all the executive comforts and personal amenities you'd expect. Leather seating, reading lights, AM/FM stereo cassette, 12v outlets. 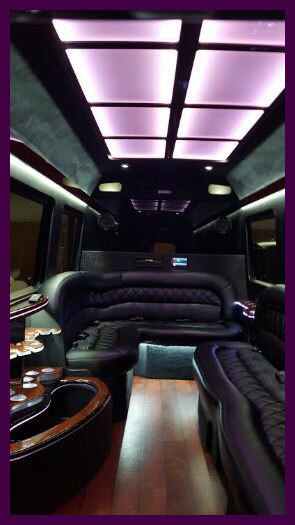 Our Excursion Stretch has 2 15" flat screen TV's, AM/FM Stereo, DVD/CD with remote, lighted mirrored ceiling and bar. Both with adjustable variable intensity multi-color changing fiber optic and mood lights, multi-colored continuous changing neon light strip throughout bar and headliner, 2 Ice chests, crystal glassware and champagne flutes. Come by and see it for yourself, the picture does not do it justice! Our 175" H2 Hummer limousines are equipped with AM, FM and CD stereo, TV's with DVD, intercom, mirrored ceilings, fiber optic lighting, bar with glassware and ice compartments, and privacy dividers. 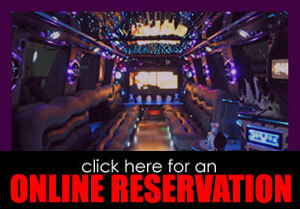 Ride in style and like no other limousine out there! The Lincoln Town Car interior represents a functional design styled for any occasion. Rich walnut accents the bar giving it classic appeal, while the neon and fiber optic lighting easily spice things up for nights out on the town. The Lincoln Town Car includes an LCD TV, DVD player, starlight ceiling, and digital overhead control panel with automatic climate control. 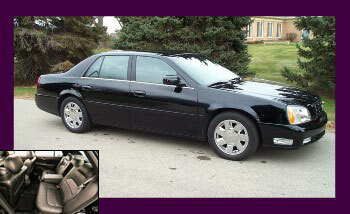 The Lincoln Town Car will definitely provide that First Class ride and service you deserve. Seats from 8–12 passengers. Our Cadillac Sedan This chauffeured service utilizes discreet custom Cadillac Deville DTS Sedans that allow seating from 1-3. In this vehicle, you're able to slip through traffic virtually unnoticed, yet it provides you with all the executive comforts and personal amenities you'd expect. Leather [heated] seats, reading lights, AM/FM stereo CD/Cassette, 12v outlets. It can comfortably accommodate up to three discerning passengers. Our Cadillac Escalade This beautifully crafted Cadillac Escalade is the latest and greatest in style limousines today! The Escalade features a raised roof, increased seating comfort, multiple bars, large plasma screen, and more! If you are looking for the ultimate WOW factor you have found it! Custom wave style bench seating; one full length bar and two mini bars, including behind seat inserts; stainless steel "stargazer" ceiling with fiber optics; seats 22 comfortably; full privacy partition with 42" Plasma display; two lightning dishes on sides of plasma display; two smaller LCD's mounted in side pillars; rear passenger camera with sound; Level III Stereo-CD-DVD System; fiber optics throughout; custom accent lighting throughout including red laser and strobe lights. A definite head turner and awesome limo!